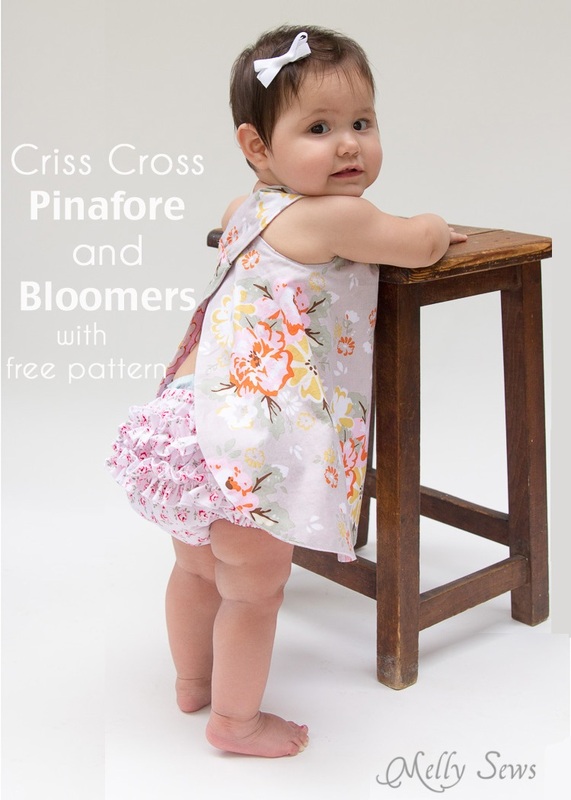 Hey y’all – today for Sewing for Babies month I’ve got a super easy project – the Criss Cross Pinafore and Buttercup Bloomers pattern for babies. We’ve got a few options in today’s post. 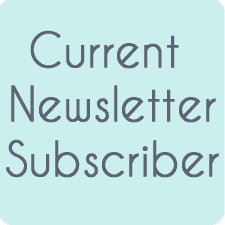 Keep reading to find the FREE 0-3m size pattern. If you want the pattern in sizes NB-3T, click the Buy Now button below. You’ll get an email with your download link after payment. 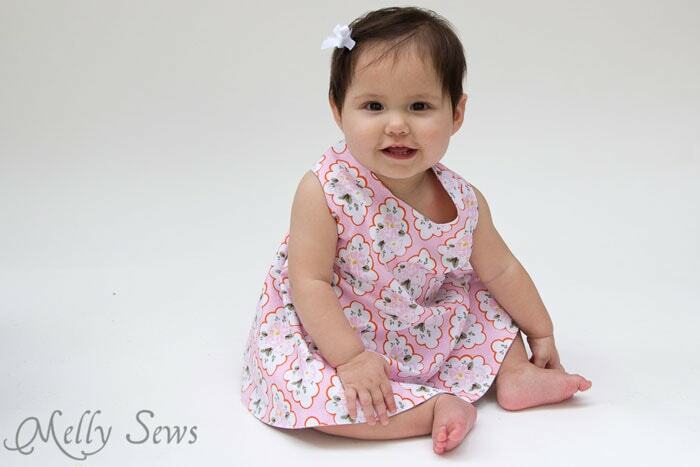 Speaking of options, did I mention that this dress has no closures to sew AND it’s reversible? Yup, two dresses in one! For the darling modeled version I used Riley Blake Wiltshire Daisy fabrics. 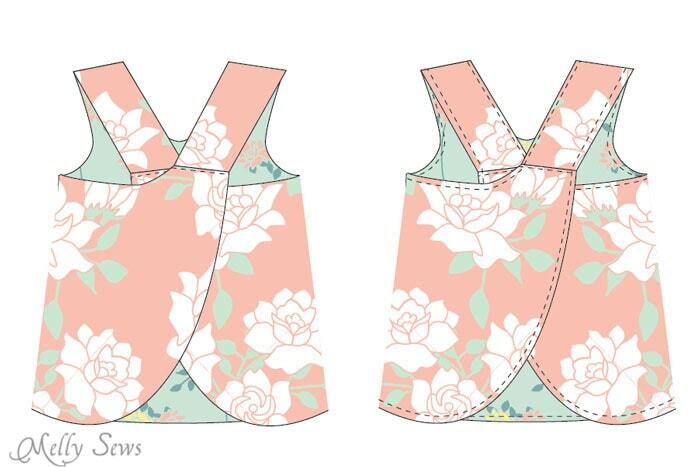 The pinafore is in Wiltshire Main Gray and Wiltshire Floral Pink. The bloomers are in Wiltshire Petals Pink. 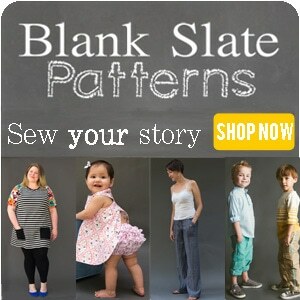 The free pattern is in size 0-3m. 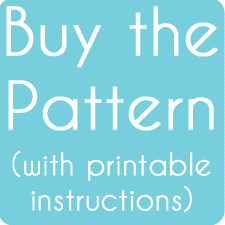 To get it, click your preferred option below to get the free pattern only as a newsletter subscriber, or you can buy the full NB-3T digital pattern + printable instructions. If you want the full pattern in sizes NB-3T, click the Buy Now button below. 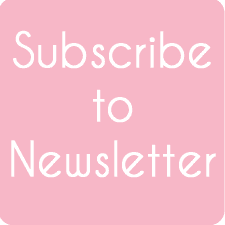 You’ll get an email with your download link after payment. 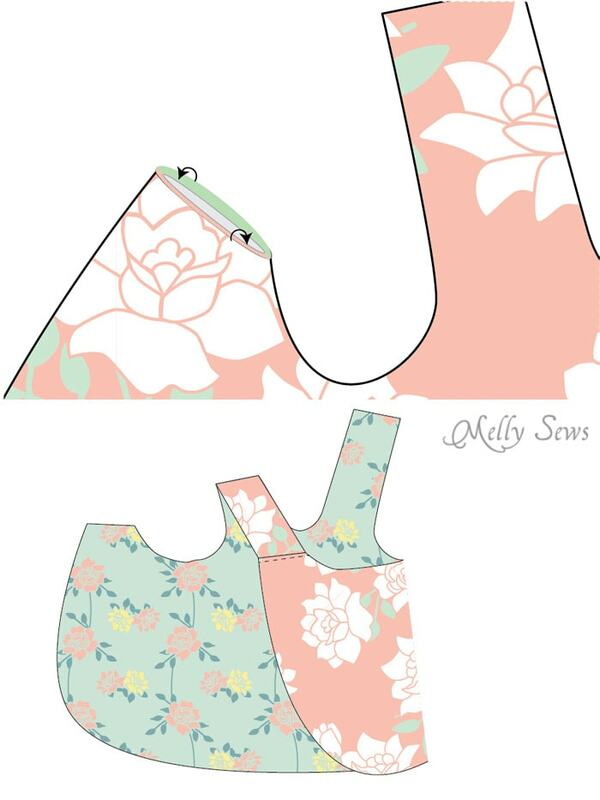 Start by putting the two pinafore fabrics right sides together. Stitch around all but the strap and shoulder openings. 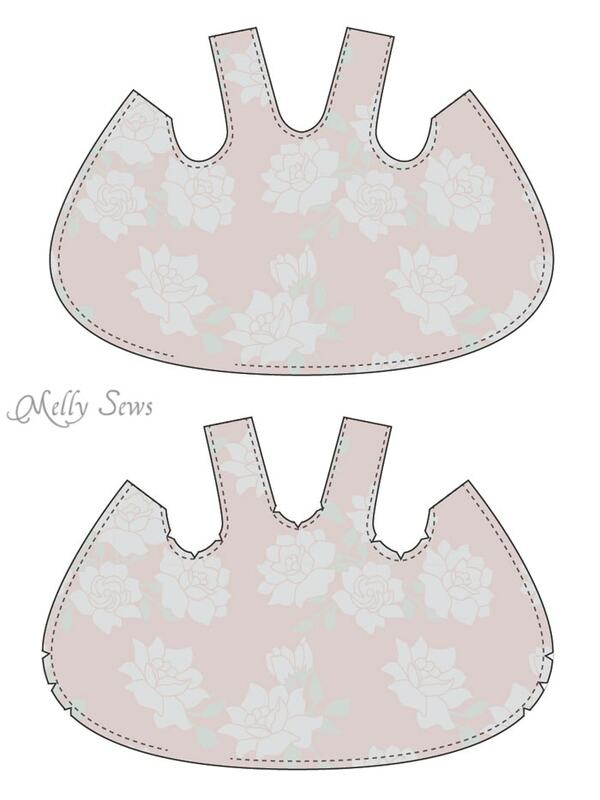 Clip the curves, then turn the pinafore right side out through the shoulders. (Do you see that spot on the hem that looks like it’s not sewn above? Yeah, that should be sewn.) Press the dress. Turn the back shoulder edges 1/2″ to the inside as shown below. Lay the dress flat as shown, the cross one strap to the opposite shoulder and push it 1/2″ to the inside. Pin, then sew across the shoulder to secure. Repeat with the other strap. Topstitch all around the pinafore edges. Since the straps are crossed, you’ll be able to do this in one continuous line without stopping. Pretty cool, huh? 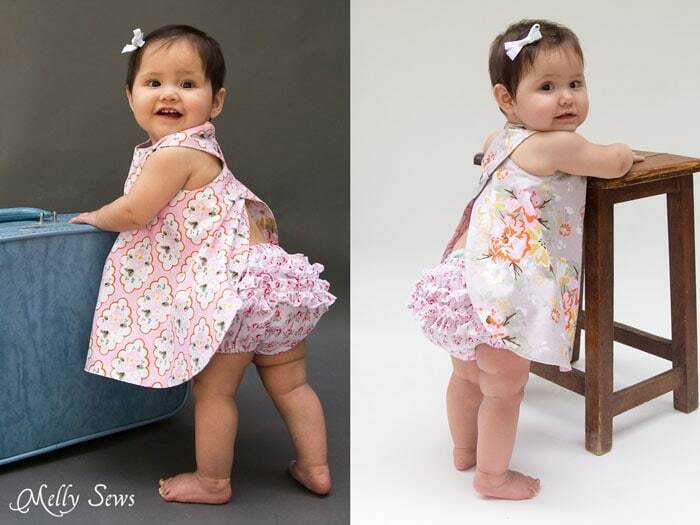 To make the bloomers that go with the dress, go to this post. So cute! I love the bloomers! I love this pattern and the fact you made a video for it. I am actually in the process of making this for my friend and her daughter, they are both due this month with girls. Well my friend just had hers. 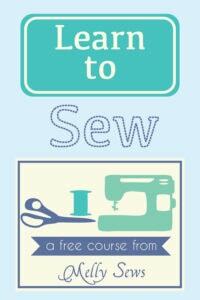 Your way of sewing may not be the right way fur some, but it gets the job done without being complicated. Complicated I look to many more tutorials from written and filmed. Thank you!!! I bet I made 50 of these when my Daughter ( She is now was 46) was a baby and toddler. I would sometimes put ruffles around it and in the colder months I would make it with corduroy and would put a long sleeves under it and with tights. This is the best! I am just a beginner and had no trouble sewing this for my pending granddaughter (June baby)! Thank you so much! thank you for your clear instructions I can’t wait to try the pattern! ! Thank you so much for this pattern. My mom actually made something very similar from a pattern when I was a child and then I used the same pattern for my two girls. Unfortunately over the past 20 years I gave lost the pattern! Now I can save this for my grand-daughters….whenever that may happen! I plan to make several of these for my first great grand baby due this summer. I made them for her mother when she was little. Such a cute easy way to dress a girl. I love the pattern and how you made it look so easy. I will be sewing this in the near future, Thank you so much. Thank you for the wonderful tutorial , you are adorable and so is this pattern!! I have not sewn in quite some time, so this was a good come back, simple…..thanks! !